Some of the coolest signs that still exist in the city are not operating. They do help tell the story of what an area used to be like. This sign is located near Princeton Baptist Medical along Tuscaloosa Avenue in the Arlington-West End neighborhood. It provides an example of the types of small businesses that used to serve residents on the west side of the city. The building is currently used by Levy’s VW Shop, a repair shop for older Volkswagens. It would be really interesting to see the current users of the building find a way to rehab the sign to better represent its current use. Click here to view the entire series in the photo gallery. Click here to view the main page for the series. I like what you are doing. 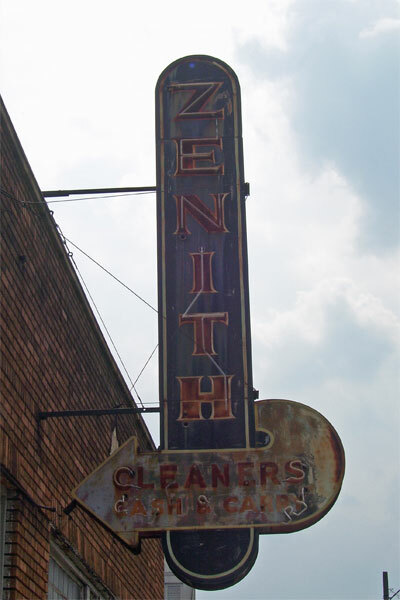 Have you tried to dig up old shots of signs that haven't been around for many years? ie. Buffalo Rock sign. I remember it as a kid in the 5os and 60s.